Papers and discussions on almost every conceivable aspect of the behavior of these fascinating rivers and their management. Gravel-bed rivers are both fascinating and of great practical significance to water resources managers. 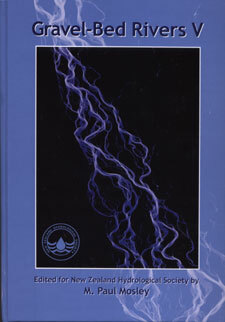 This book reports the proceedings of the fifth Gravel-Bed Rivers Workshop, held in New Zealand in August-September 2000. The Workshop brought together over 100 international scientists and river managers, to present their current research and to debate many aspects of gravel-bed river behaviour and management. The chapters are contributed by over forty specialists, with additional analysis provided by many more. Their topics covered almost every conceivable aspect of the science, ranging from the processes of sediment entrainment by turbulence through to the response of fish to variations in river flows. State-of-the-art technology and up-to-the-minute knowledge is presented. The technological applications range from detailed measurements of eddy structures and turbulence at centimetre-scale, through to time-lapse video photography of the changing pattern of channels in a kilometre-wide braided river. Exciting developments in data capture, image analysis and computer modeling are enabling huge strides to be made in describing, understanding and predicting the form and behaviour of gravel-bed rivers. They have revealed, for example, the existence of dendritic networks of braid channels in large braided rivers, which places the processes of channel evolution in a quite different perspective. This Workshop made a particular effort to address management goals in gravel-bed rivers, such as maintaining healthy aquatic ecosystems or controlling aggradation. Ecological and fisheries scientists introduced recent research into the behaviour of aquatic ecosystems in gravel-bed rivers. They showed for example the crucial importance of disturbance by floods in determining the diversity and biomass of aquatic vegetation, invertebrates and fish, in association with entrainment and movement of bed material. A number of papers considered the philosophy and practice of river management in three continents. A field exercise in the Waiho River provided an opportunity for Workshop participants to consider how to manage channel instability and aggradation in one of New Zealands major tourist venues. The book provides an important source of information and ideas for scientists, engineers, and resource managers seeking to understand gravel-bed rivers better. It will be useful also for senior undergraduate and graduate students who are developing their own research directions, and seeking inspiration from the leaders in their field. Publ. 2001.